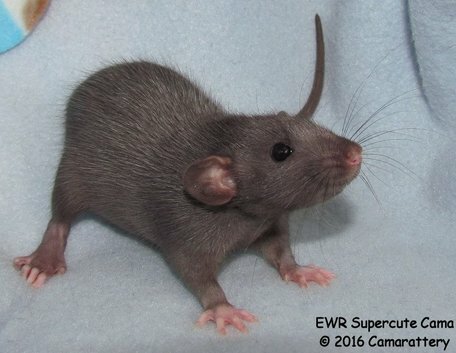 My Silvermane line was imported from Exotic Whiskers Rattery in Canada as a co-shipment between myself and Emerald City Rattery in March of 2016. And are the 1st ever of their variety in Colorado. Silvermane is brand new to the world. It was discovered by Squeaks and Nibbles Rattery in North Carolina in 2012. 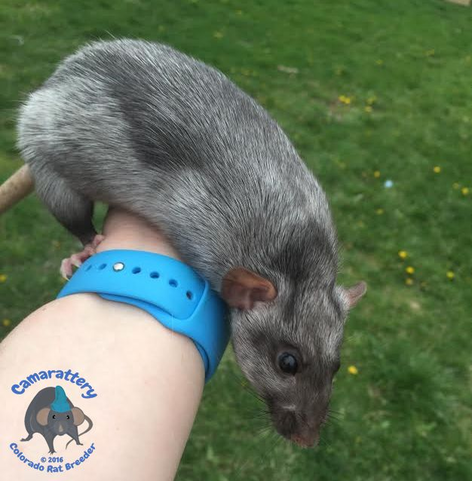 Silvermane rats have a mixture of Silver hairs and their natural body color. They have very, very soft coats. My line has a very sweet, and very curious disposition. They are the 1st at the door to greet you. And they have a lot of energy to play. Apparently there are a couple of lines of SM rats. Jessica of Squeaks and Nibbles rattery says the line I have is from the 1st of 2 batch's she had, which were very mellow and docile. She says not many breeders have the ones from her 1st lot. Then there was an out cross done at Squeaks and Nibbles and those were more aggressive. So I do not have rats from that batch. Mine are the sweet ones. This line is so new that health and longevity is undocumented. I'll update more of that once I have more experience with them.